Finally! Finally after Ninjago, Chima, Star Wars (and more! 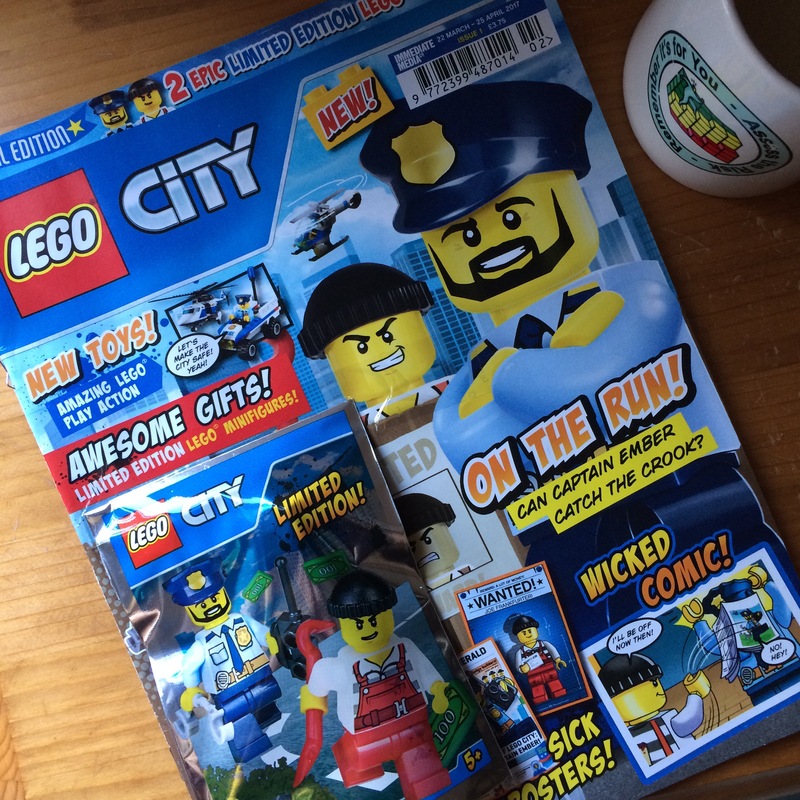 ), a Lego City Magazine!! So are we going to see what the good (and not so good folk) of Lego City get up to in their everyday lives? Visiting the museum on their downtime. Maybe enjoying a slice of pizza from the Lego City Pizza Van or grabbing a coffee and cupcake at Assembly Square? 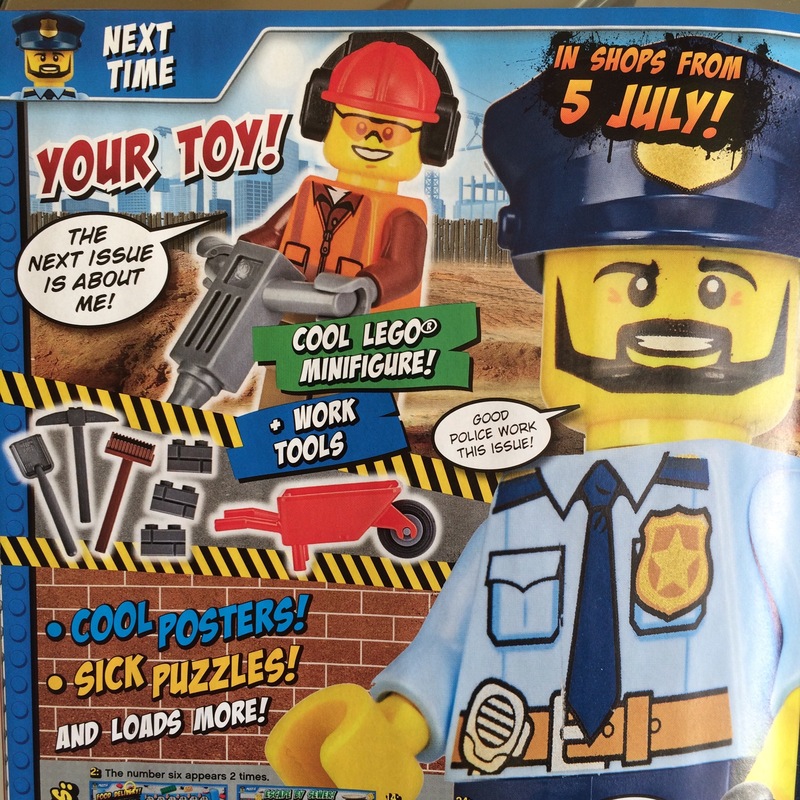 No we’ll see the good cops of Lego City Police attempting to retain law and order on the mean streets of Lego City. 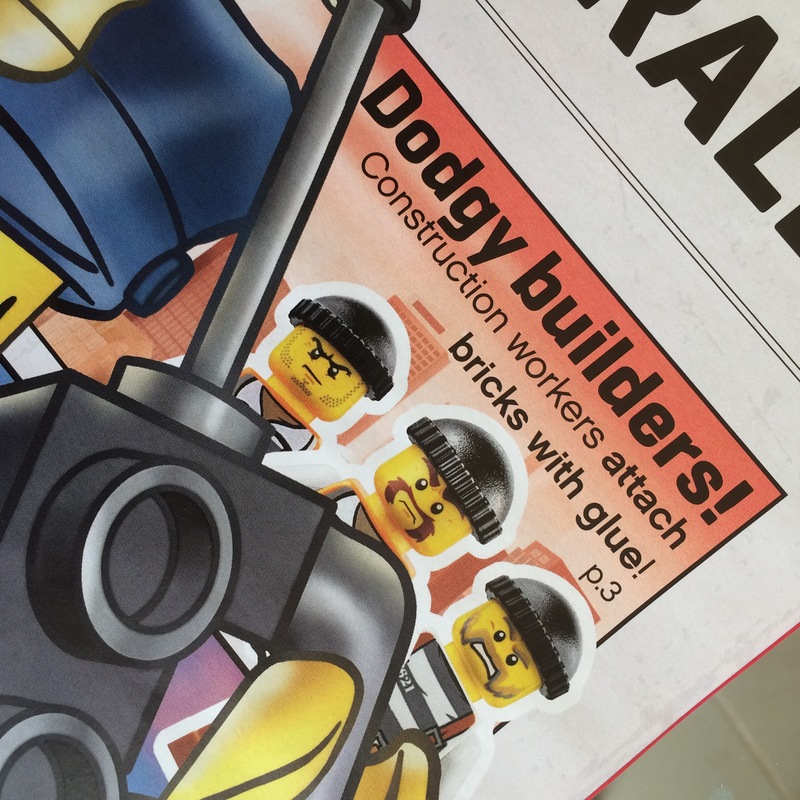 Yeah the cover pretty much says it all – but hey, as an adult fan of Lego I’m not exactly the target market. 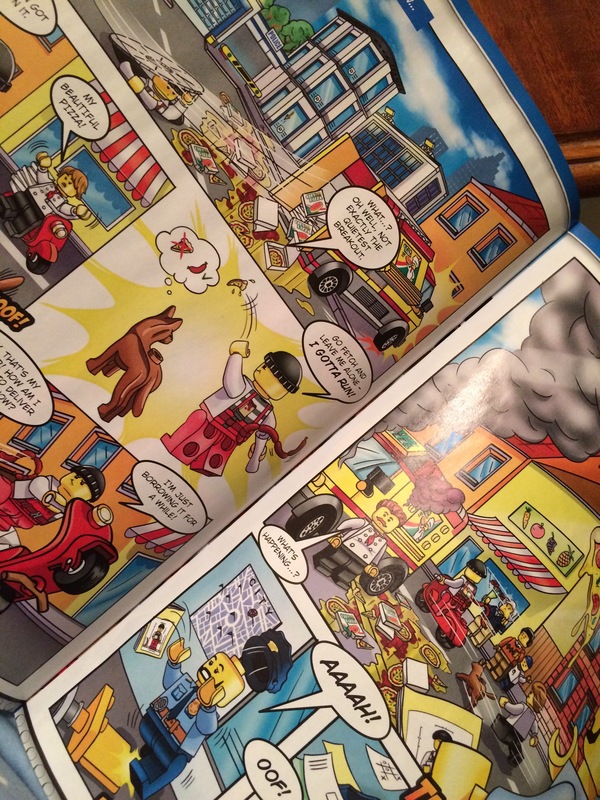 Issue 1 comes with 2 minifigures – Captain Ember and Joe Frankfurter, who are the stars of this issue. The main bulk of the magazine is made up of a comic starring the Captain and Joe, and there a few puzzles dotted through it. Looks wise it’s very appealing, is beautifully designed and packed with content. And you know what it’s fun. I enjoyed reading the story to my 5 year old, and it was great that he could recreate the story himself, in his own way, using his Lego. Would I buy this again? Yes. Would I buy this again even if I didn’t have a 5 year old? You know what yes I probably would! Here in Ireland it cost €5.29 (price in the U.K. is £3.75), and for that you get two minifigures (with accessories) and an enjoyable comic. And hey, you just never know, maybe we’ll see what the construction guys get up to to unwind – head to the Highlander for a game of pool perhaps? We’ll find out in July.